Scarlet - Couture design all around Swarovski crystal bridal Bracelet - SALE!! 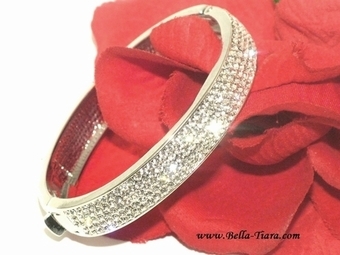 HOME / BRIDAL JEWELRY / Wedding Bracelets / Scarlet - Couture design all around Swarovski crystal bridal Bracelet - SALE!! Beautiful design, perfect for any special occassion. fits smaller wrist sizes 6 - 6 3/4", approximately over 1/2" wide, not suggested for larger wrist.